Iranian director Jafar Panahi seems to have strayed into the minefield of fake news in Three Faces. A video message is sent in which a despairing young woman, Marziyeh (Marziyeh Rezaei), describes her dream of becoming an actress and her family's ruthless determination that this will never happen. She then commits suicide. Who was she? Can this really be taken at face value? Who sent the video if she really did kill herself? Seeking the answers to these questions prompts Panahi and veteran actress Behnaz Jafari (playing herself) to undertake a journey. Their gentle investigation is marked by random encounters with the girl's relatives (including a hysterical uncle), telling conversations and a sprinkling of clues that constantly challenge the couple's understanding of what has happened. In some respects, Three Faces is a very modest thriller but what really counts is what it reveals about a society where the most ready, generous hospitality exists alongside the most crushing, repressive values. The third face is Shahrzad, a retired actress who lives in the girl's village but is a virtual outcast as a punishment for having dared to commit herself to a life in the arts. These three generations of women have faced almost unvarying levels of oppression from a male-dominated world. The film highlights the difficulties of being an artist in Iran and Panahi is clearly in sympathy with the plight of the three woman. He is still subject to a 20-year travel ban imposed by the government. 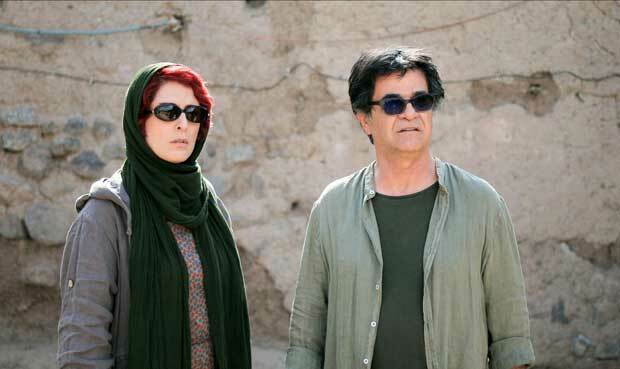 Like much of Panahi's work, Three Faces is mild-mannered. The drama is subtle, the execution is deceptively unassuming and, yet, beneath its placid surface you can sense the weary melancholy of a man who has constantly struggled to make his voice heard and his vision seen. Screening as part of the Cannes Film Festival 2018. General release TBC.